There’s some lily pads and pond equipment out there. The bird was standing on a pipe or something that was just at the surface, making it look like the bird was standing on the water. Several ducks were doing the same on other pipes. I stole quietly across the volleyball court, hoping the reeds would hide my approach. Shouldn’t have worried! He was sixty feet out in the middle of the lake and not the least bit concerned that one more office worker wanted to gawk at him. He was equally unconcerned about one of California’s busiest freeways less than 100 yards away. I got comfortable at the edge of the pond and started sketching. He was resting with a foot up most of the time, and occasionally treated me to a short pose in another position. 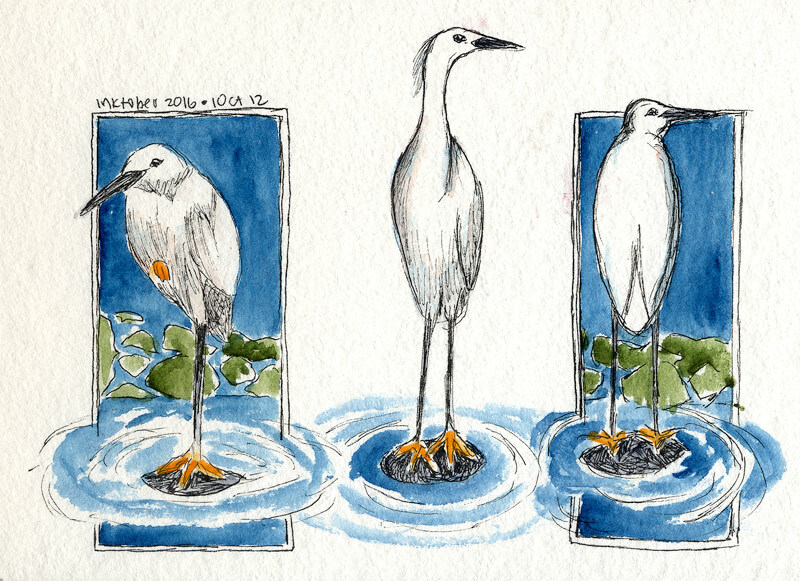 Three poses, in triptych fashion, are today’s Inktober offering. I did draw the boxes without aid of a ruler, unlike the other drawings. (On those, I ruled the lines in pencil then freehandhand-traced with ink.) In this case, I didn’t want to lose time with the bird to fuss with a ruler. 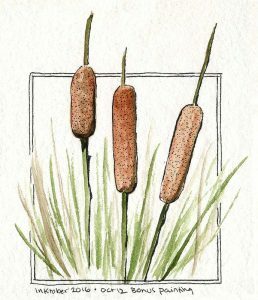 Once I was satisfied with the bird, I did a bonus sketch of the cattails. These were watercolor only at first and I added ink at home. Paint used on the birds: PB27 Prussian for the water and backgrounds, Green Apatite for the lilies, PO62 Benzi Orange on the feet, Sodalite, and a little PB27/PR101 combo for the shadows on the bird. 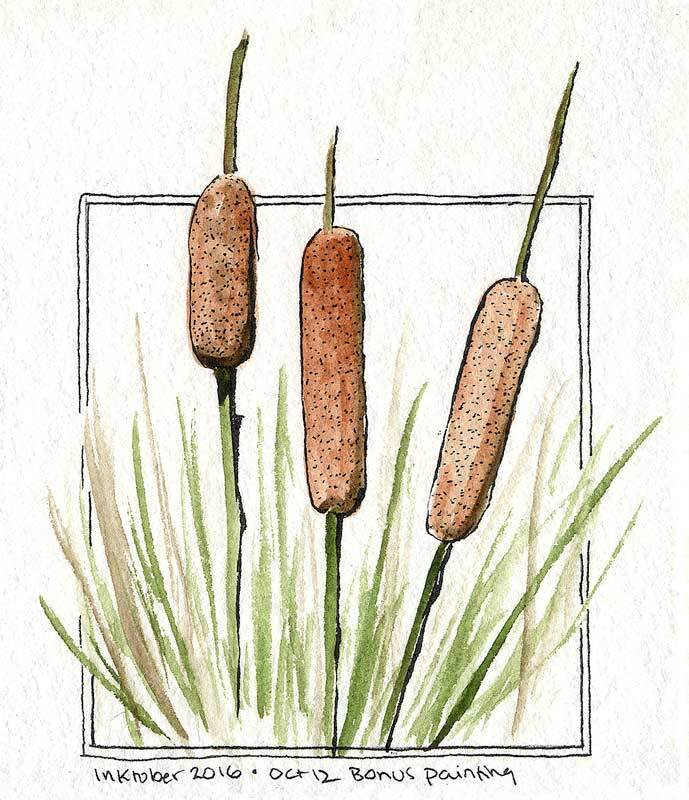 For the cattails, Burnt Sienna and Raw Umber with Green Apatite for the stems.